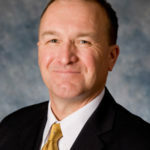 Eric L. Flicker, P.E., L.S., M.ASCE, Senior Consultant, Pennoni Associates, Inc.
For ten years prior to his current position as Senior Consultant with Pennoni Associates Inc., Mr. Eric L. Flicker, P.E., L.S., M.ASCE, served as the Chief Financial and Administrative Officer, responsible for Accounting and Finance, Human Resources, Information Technology and Facilities. In his Senior Consultant role, he remains a member the Executive Committee of the Board of Directors and is assigned special projects, including the recently completed acquisition of 175-person PHR+A in Maryland and Virginia. 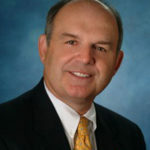 He also serves as Chair of the firm’s ESOP Trustees. He is a civil engineer with extensive background in developing municipal infrastructure projects, and has strong experience in project management and technical staff management for multi-disciplined projects. His BS in Civil Engineering and MBA were both conferred by Lehigh University, Bethlehem, PA. He has been a loyal supporter and leader in the engineering community. 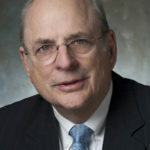 In addition to his extensive service to the American Council of Engineering Companies (ACEC) family, as past national Chairman, and in Pennsylvania, he has been President of the Hazardous Waste Action Coalition (of ACEC); President of the Pennsylvania Society of Professional Engineers; Founding Chairman of the Pennsylvania Design Association Center; and is a Past President of the Engineers’ Club of Philadelphia. 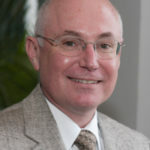 His is currently serving as President of the Philadelphia Engineering Foundation. In 2006, Mr. Flicker was named the Delaware Valley Engineer of the Year, as well as Civil Engineer of the Year by the American Society of Civil Engineers (ASCE) – Philadelphia Section. He is also active in the community. He is immediate Past President of the Board of Habitat for Humanity- the Affiliates in the Delaware Valley. He is also a Board Member of the Philadelphia Education Fund. He serves his local church as Financial Secretary.